I am currently working on the "flower form series." It is a series of ceramic plant like shapes. Most to the series has a centeral "stock" with flowers and leaves attached. I started this by thinking about how to wrap the leaves, of the piece, to make them stand up yet, I want to have them pull away from the center and fall as far as they can go without tipping over. Next, I began to strech the clay across the gaps beween the leaves like veins of life for the plant. The shadows of the pieces are fasinating to me. With the shadows in mind, I started to make holes and spaces where the light could shine through. To compilment the holes, I added more texture on the piece. 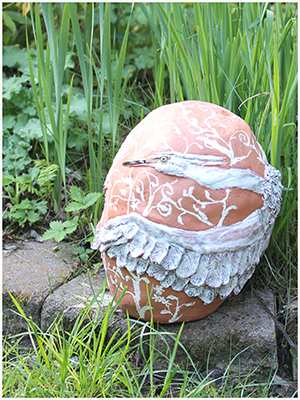 I am starting another series which consist of a relief sculpture of an ergret on a loose shaped egg round form. A single bird will streach around the form. The shapes are "printed" with leaves and hand painting. The egret is all white except for its head and feet. The bird has a terracotta rock at the bottom which makes a nice contrast to the white bird. I went to college at the UW and majored in botany. I also took as many art courses as I could get into. In recent years, I have studied with Steve Kemp and Susan Dunn on Cape Cod. I also studied with Regnior Reinholdsen and Carol Gouthro at the Kirkland Arts Center. 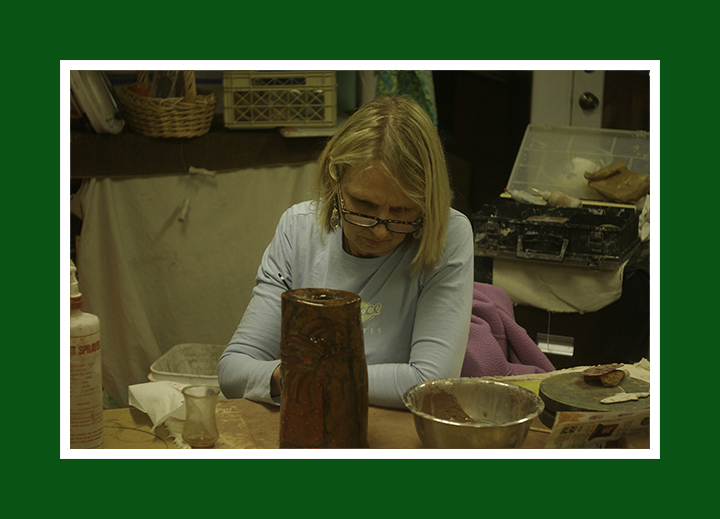 I have shown locally with Non-Stop Clay, and at the Kirkland Arts Center Studio Tour. I have also had some pieces in the KAC store. In 2013, one of my pieces was in a ceramic display at Sea-Tac. In 2014 I was selected to be in Ryan James Fine Arts Gallery's Emerging Artist Show. 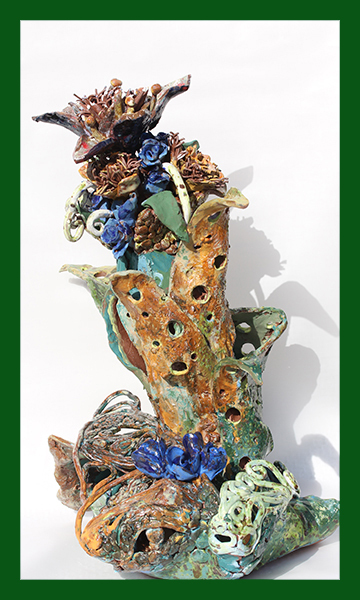 Last year, 2015, I received and Honorable Mention, for sculpture, in the Kenmore Art Show. This summer I recieved Third Place for sculpture in the Kenmore Art Show.